COULD YOU TELL US A ABOUT YOUR COMPANY AND WHAT YOUR ROLE IS? 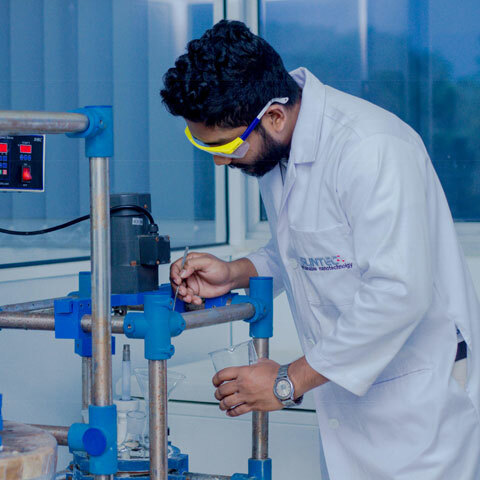 Ceylon Graphene is a spin-off company, formed with the collaboration of two major operations, LOLC Holdings PLC and Sri Lanka Institute of Nanotechnology (SLINTEC). LOLC Holdings PLC, which is the largest finance, microfinance, and nonbanking finance company in Sri Lanka, owns 85% of shares in Ceylon Graphene Technology. 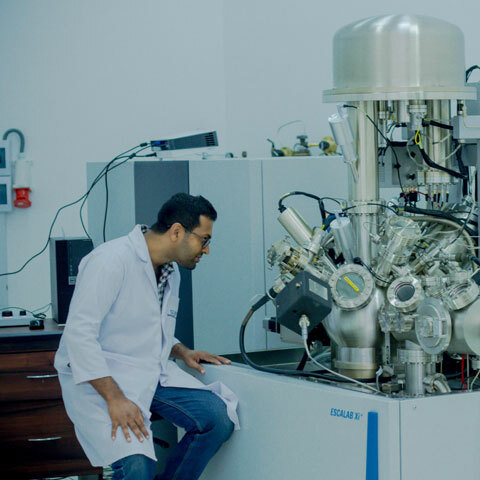 The Sri Lanka Institute of Nanotechnology (SLINTEC) is a partnership between the Government of Sri Lanka and seven major private sector companies in Sri Lanka. 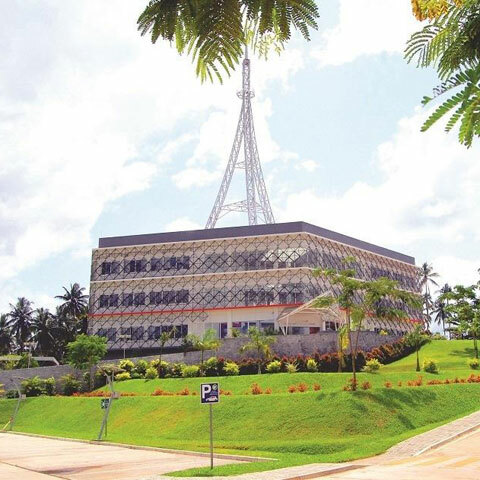 It is the national institute for Nano and advanced technology, and owns 15% of Ceylon Graphene Technologies. Why did we want to explore this subject area? Well, Sri Lanka is the only country in the world which produces vein graphite in commercial quantities. Sri Lanka exports this vein graphite without significant value addition. At SLINTEC, our focus was to explore avenues of value addition to Sri Lankan vein graphite on a national scale. So, we started two major project areas. One is expanded graphite, and the other is graphene through graphene oxide and reduced graphene oxide pathways. Being primarily a research organization, we were keen to find a method which was better than any existing process in terms of both cost and pollution due to by-products. The present technique utilized is a result of tireless efforts from a team of scientists over nearly four years. The uniqueness of the process is due to the raw material qualities. The raw material has extremely high purity. Additionally, due to this quality and the uniqueness of the crystalline structure, it created a unique situation for us to use fewer nasty chemicals to convert it into graphene, or rGO, and GO. We have been able to gain investment from LOLC to form a JV, based on the development work carried out on the lab process, to convert it to a commercial operation. The current capacity of the pilot plant is 120 to 150 kg per annum. CGTL has commissioned the Engineering team at SLINTEC to build and commission a plant with a capacity of 1800kg per annum and this is scheduled to be completed by May 2019. In the company, I wear two hats. My SLINTEC hat is that of a Senior Research Scientist. The other hat I wear is that of the group CEO for Research and Innovation in the LOLC. Since I was part of the research group at SLINTEC, I was in a great position to convince the LOLC management to invest in Ceylon Graphene Technologies, based on the potential and the uniqueness of the process. WHAT IS GRAPHENE OXIDE AND WHAT ARE ITS APPLICATIONS? In 2004, graphene was discovered in the United Kingdom and in 2010, won the Nobel Prize. That Nobel Prize created a huge importance around this particular material, marking it as a ‘wonder material’ with unique features and unique crystalline characteristics. Physical, chemical, and optical, you name it; almost all of the physical characteristics are unique in this material. Graphene is single layers of graphite, which is basically carbon. Graphite is basically trillions of layers of graphene. In our process, Graphite is exfoliated to form single layered and/or multiple layered material through a chemical process. One of the advantages is that as a raw material, graphite can be used without any purification process, as the mine purity is in the range of 99.2 to 99.6%. The material is then granulated and processed through the plant to produce graphene oxide and/or reduced graphene sheets. GO is converted to reduced Graphene Oxide(rGO) via two reduction processes. Although rGO is generally considered as graphene, personally, I don’t call it that because I think we should only name it graphene if it has a single layer. If it is not one layer, then technically it is not graphene. There are many unique applications for graphene oxide, including composite materials, coatings, and in-situ preparation techniques for graphene. We could use graphene oxide heavily in composite materials or power storage applications such as lead acid batteries and lithium oxide batteries. With it, you have the ability to improve the storage, charge acceptance, and cycling. In car batteries and lead acid batteries, one of the major problems faced is sulfation in plates. Now, once we put graphene into it, or rGO into it, it is possible to eliminate/minimise the sulfation process and achieve extremely high life cycles. We are also working on new graphene-based or rGO-based materials to improve the charge aceptance rate, cycling, and lifetime of new age batteries. Again, this is to improve the specific energy capacity of lithium batteries and other battery technologies. The second major application we are working on is composite materials for anti-corrosive paints, anti-corrosive composites and strength improving composites; as well as sound proofing composites and flame retardant composites. Those are very straightforward applications with rGO and GO composites. Graphene-coated sand is also being used to produce water filters, so this is also something of interest. We have produced drinking water filter systems and material developments for water desalination. We don’t use a large amount of energy to convert seawater into drinking water because we use energy-centric techniques like reverse osmosis. For the filters we use graphene oxide and reduced graphene oxide based IMSA membrane materials or membrane systems. Wastewater purification and wastewater re-use is another application area, especially when it comes to emerging contaminants from industries. These are nasty contaminants that we are talking about, from various different chemical and bio-based industries. Graphene-based water purification systems will play a very prominent role in purifying extremely low concentration of contaminants in water purification applications. A product that we have already developed and are carrying out research on, is graphene oxide for air purification, which can be used to fight infections. We have deployed materials and equipment to India, with the Indian Medical Association’s certification, to fight with airborne diseases like influenza, bird flu, SARS, and H1N1. We were very successful when getting the Indian Medical Association’s certification for our materials. The idea is that you can apply the material on the wall and then it behaves as an air purifier in front of light. Another major area is textiles. We are developing specialty materials for textiles, including self-heating antistatic textiles, self-heating textiles, antibacterial, and anti-bio organism textiles. HOW DO YOU SEE GRAPHENE OXIDE CHANGING THE MARKET IN THE FUTURE? The biggest problem we faced, or we are facing, is the lack of graphene and graphene-related products. Some companies claim that they have graphene, but most of the time, it is not real graphene. They are often Nano platelets of graphite or expanded graphite Nano platelets or nanoparticles. There is a huge difference between the two, but unfortunately, ISO and NIST have not yet released a standardized specification sheet for graphene. When it comes to industrial-grade graphene, reduced graphene oxide or graphene oxide, since we do not have a proper standard, we don’t know where to stop the purification, and where to stop the development. Additionally, when it comes to the price, it is very difficult to allocate a price tag in our production, as the required quality and purity is poorly defined. In most of the applications, customers may not need that level of quality/purity for the end-use application. This situation is causing ambiguity, leading to possible false claims by vendors of GO or rGO, causing failure and/or disappointment with end users. This may even derail the planned work and cause mistrust with the claims made by even the genuine suppliers. That is one of the most negative situations faced by the industries that are considering using graphene-related materials in their products/applications. They do not know how to specify the required material so that they have a consistent product every time they purchase it, irrespective of the supplier. The lack of ability to specify this is not a healthy situation in the industry. This is one of the most serious problems we face currently. It is very difficult to sell just graphene as a product. Therefore, our approach would be to develop GO based precursors for different applications. This will enable the end user to pick their exact requirement without having to invest further in R&D. This will help alleviate the current confusion. When we sell graphene oxide based precursors, the manufacturers will understand the entire product through the in-depth information provided in the data sheet. This may include such information as how to use the product, what amount of it to use, and the expected end result. It is then just a matter of utilizing this material according to our guidelines. Therefore, leading to harnessing the entire quality and the desired result of using graphene. WHY DO YOU THINK THE CONFERENCES LIKE THE GLOBAL GRAPHENE EXPO ARE IMPORTANT? If we go back to 2002 and 2003, the same hype was seen with carbon nanotubes. However, the hype was not managed properly. With graphene, it has been comparatively well managed. Organizations such as the Cambridge Graphene Group, the National Graphene Association of the U.S. and the other groups from the United Kingdom, such as the Manchester Graphene Group, have all managed the product well. When it comes to graphene, the promise is much better than carbon nanotubes. Knowledge and the distribution of knowledge is better organized in the graphene spectrum, and even in the infant stage, there were a couple of end users who started using graphene, graphene oxide and rGO in their products. When you compare the prices, the graphene price is comparatively much less than single carbon nanotubes or specialty carbon nanotubes. That is why, as a material, graphene gained a serious position, competing with carbon nanotubes. Management of knowledge and the industry skill set to produce this particular material is going to be the winning combination. Manju joined LOLC in 2017 and counts over 20 years in Research and Innovation in various subject areas including Nano technology, Agriculture, Pharmaceutical, Advanced material & Engineering. Currently he is working as a Consultant Senior Research Scientist at Sri Lanka Institute of Nano Technology (SLINTEC) and is the winner of multiple international awards including 3 Geneva Innovation Congress Gold Medals and one Silver Medal. He has also twice won the national title as the Best Inventor in Sri Lanka.